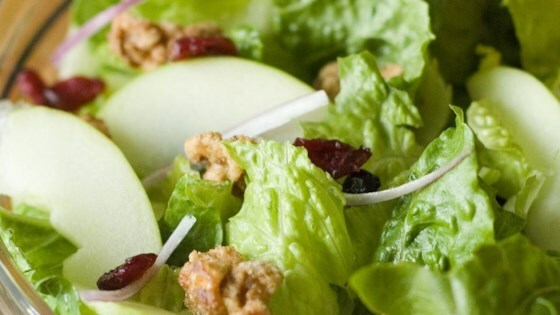 Apples and lettuce can remedy bad breath, according to the latest research from Ohio State University. More than 80 million people suffer from chronic halitosis, or bad breath. In most cases it originates from the gums and tongue. The odor is caused by wastes from bacteria in the mouth, the decay of food particles, other debris in your mouth and poor oral hygiene. The decay and debris produce a sulfur compound that causes the unpleasant odor. Garlic is one of our favorite foods, and it adds so much flavor to dishes all over the world. It is also nature’s powerful medicine, and it boasts powerful natural antibiotic and antibacterial benefits. However, the one negative about garlic is that it is notoriously known for causing bad breath. Now garlic lovers may have a new natural treatment for the breath caused by the powerful herb. Apples and lettuce can remedy bad breath caused by garlic. The Ohio State researchers gave the study participants three grams of garlic cloves to chew for 25 seconds. After the garlic, they were given water, raw apple, juiced or heated apple, raw or heated lettuce, raw or juiced mint leaves, or green tea immediately. The compounds responsible for garlic breath are diallyl disulfide, allyl mercaptan, allyl methyl disulfide, and allyl methyl sulfide. The levels of these volatiles were analyzed after the study. Raw apple and raw lettuce decreased the concentration of volatiles by 50 percent compared to water for the first 30 minutes. According to the researchers, foods get rid of garlic breathe with two mechanisms. First, the enyzmes in the foods help destroy the odors, then phenolic compounds in the foods destroy the volatiles from garlic.